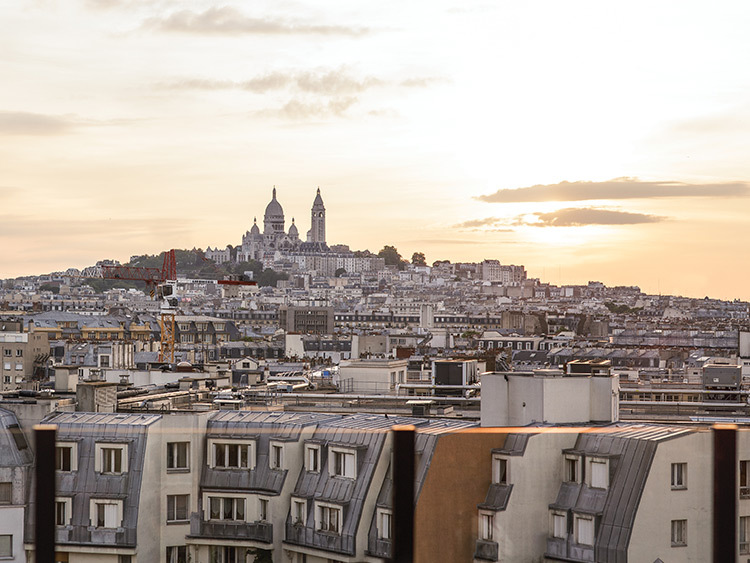 Now’s the perfect time to fall in love with the City of Light. While everything feels very 1984 in the U.S., it’s a brave new world in France. And September is the perfect time to escape: The French have made their rentrée after a socially acceptable month of summer vacation (yes, we’re jealous too), and Paris comes alive with a breezy, buzzy energy well suited for long days and even longer nights. Here, two essential weekend itineraries. Style mavens unite at this storied palace hotel transformed by Philippe Starck into a repository of accoutrements dedicated to the art of living. The Raffles property rises above the rest with its dedicated concierge service that gets guests into the most exclusive galleries and museum exhibits in town. Fun fact: Madonna shot her racy “Justify My Love” video here. All of your cozy brunch dreams will come true at this veritable butler’s pantry practically plucked from the Tuscan hills. 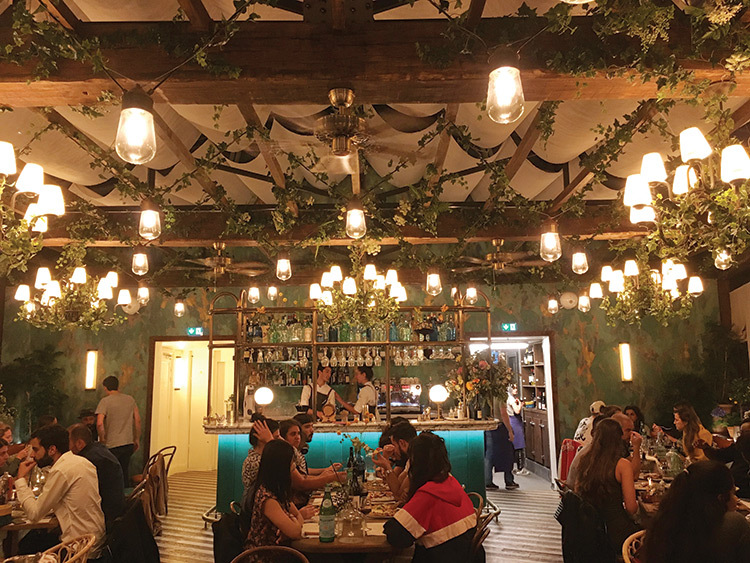 Bulbous burrata and parma ham confetti adorn every wooden table as diners guzzle their fluorescent Aperol spritzes. It’s well worth braving the lines for even a single bite of the truffle pasta. 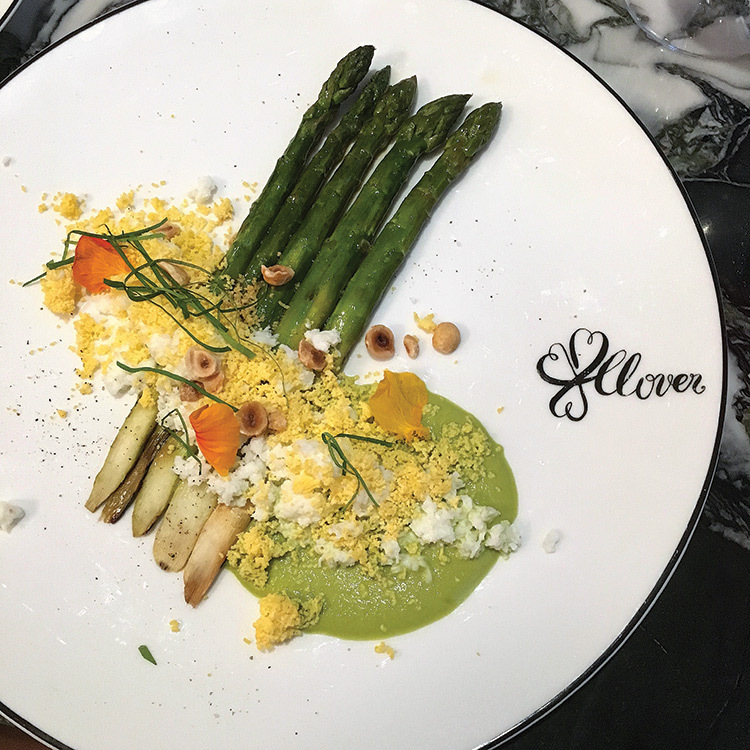 The name refers to a medieval open-air market that once stood in the “little fields” of the area; the modern iteration sees diners sipping their Moët beneath the plexiglass sine wave swooshing over Les Halles’ restored public spaces. The menu — Alain Ducasse’s take on modern brasserie fare—is announced on a retro split-flap display at the back of the restaurant. The lobster soufflé and cod with pea purée won’t disappoint. 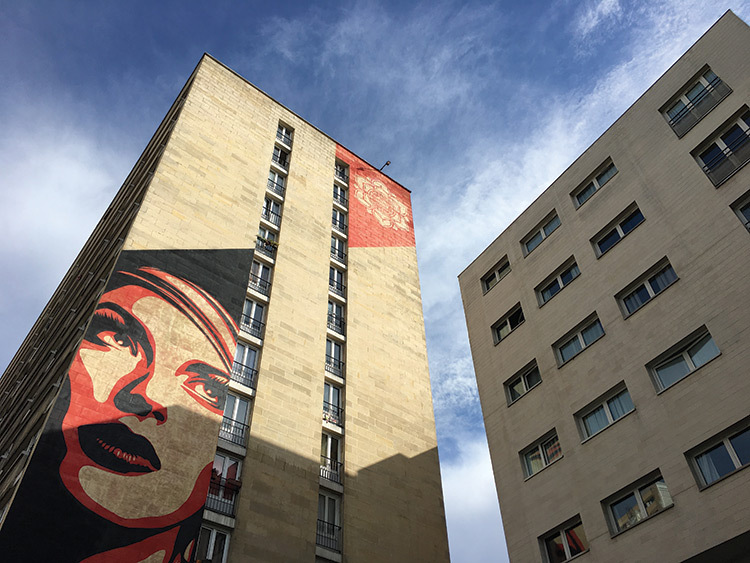 After you’ve checked off the requisite Orsay stop, school yourself in Paris’s most modern oeuvres with a captioned stroll through some of its less obvious neighborhoods like les Buttes aux Cailles, where urban canvases alternate between the stones of village-like abodes and Soviet-style concrete towers. Visiting the Marché aux Puces is like sifting through your great auntie’s storage space—purchasable surplus runs the gamut from Dutch porcelain ware to secondhand Vuitton luggage. After ogling the objets, retreat to Mob, a new hotel concept attempting to alter the city’s gravity beyond its 20 arrondissements. Another Starckian project, the soon-to-be chain of properties is angling for a hip crowd, with slender rooms and a veggie-forward restaurant adorned with framed photos of celebrity miscellany. The massive creative space was constructed in the 1800s to house Paris’s funerary services, but today it’s alive with exhibition spaces, theaters, and workshops that showcase the city’s ever-evolving talent. Wander through the grand hall to watch dancers and buskers practice their craft in front of movable mirrors before tucking into a chocolate fondant at the on-site restaurant. Why shell out for pricey digs when you’ll barely sleep? Instead, choose this nightclub-styled mega-hostel whose bevy of international travelers allows you to pick up a few partners in crime before hitting the town. After your evening out, retreat to the terrace off your private room to sip your preferred hangover cure while overlooking the sea of Haussmannian architecture below. Filling four floors’ worth of tables is an impressive feat in any city, and Pigalle’s hottest address does it without batting an oeil. Every level is trattoria-chic, with overgrown vines pouring over the rafters amid jugs of pickled legumes. Look for a little surprise in the basement once you maneuver past the meat locker. We’d tell you more, but the au courant Parisians would have our tongues cut out. If you’re really looking to get the meat sweats, drop by chef Jean-François Piège’s latest hit, not too far from the Louvre. The floral prints and saloon-style seating feel like a welcome import from London’s solid steakhouse scene, but it’s the family-style servings and off-the-book cocktail stylings by the bar staff that give the resto its super-homey vibe. 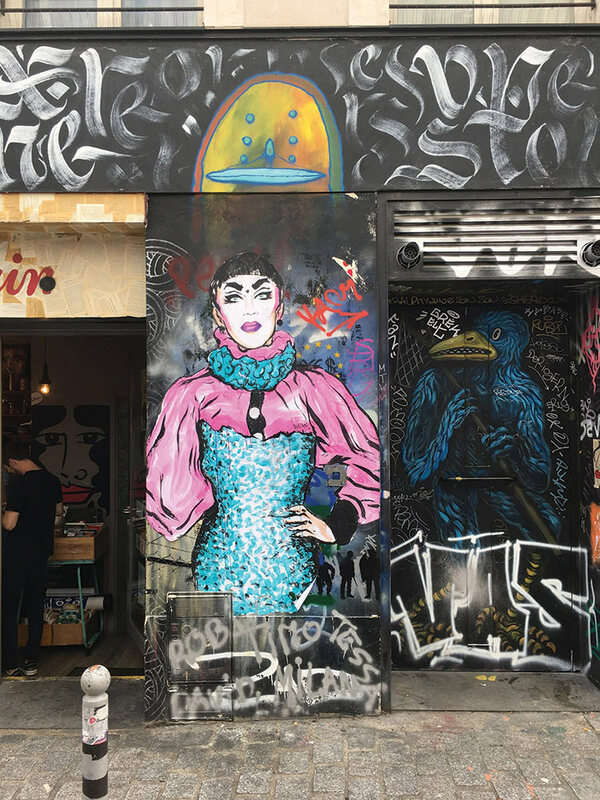 The grande dame of Belleville—Paris’s vibrant Harlem-meets-Chinatown neighborhood—offers rooms and halls to explore everything from EDM trance-a-thons to Sunday jazz brunches. Try to locate the swing-dancing speakeasy; it’s an excellent place to down some vin rouge and properly embarrass yourself. Open through September, this savvy combo of public and private space was created by the same team responsible for last year’s wildly successful Grand Train food and bar court in a discarded SNCF station. Expect plenty of snacks and sunny space. If you’re in town after the closing, keep an eye out for the crew’s next installment of “free and curious” ephemeral places. 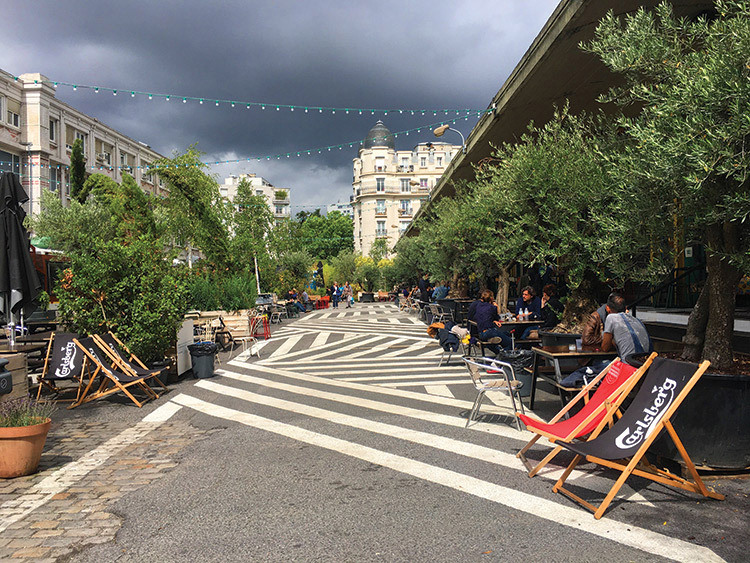 Tucked away in the 19th arrondissement under the green canopy of the Parc des Buttes Chaumont, Rosa goes gay from 6 p.m. to midnight every Sunday—there isn’t a modern pompadour in town who hasn’t sipped rosé at this institution. 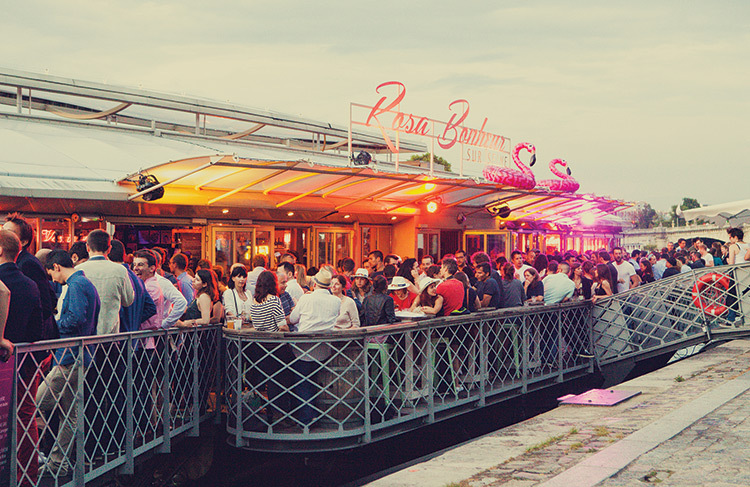 Also worth a peek are its second spot on a barge along the Seine and the newly opened third site in the western suburb of Asnières. But attendance at the OG location is mandatory. Shirts, however, are optional.